MAZDA gave its fans a special Christmas present on December 25, in the form of a gaming add on for the popular Sony PlayStation title Grand Turismo 6. 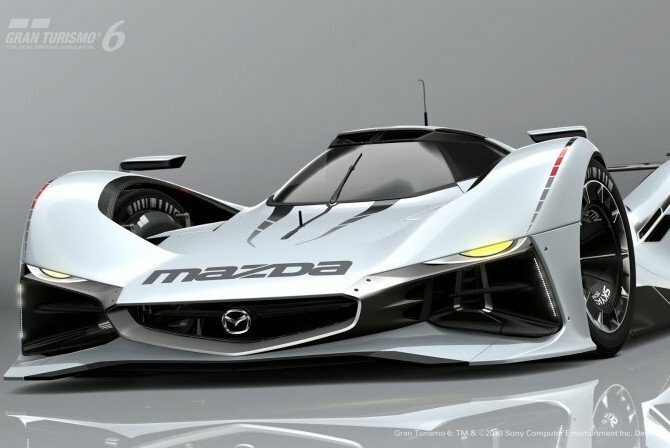 The Mazda Motor Corporation has released into the game a virtual sports car called the Mazda LM55 Vision Gran Turismo, developed for the racing simulation game and created as part of Vision Gran Turismo project. For the design of the LM55, the Mazda Design team blended agility with elegance in the car’s dynamic silhouette. While iterating Mazda’s hallmark KODO design language on the front face, its stance is reminiscent of the famed 787B that took overall victory at the 1991 24 Hours of Le Mans, and is powerful yet graceful. After installing a Holiday Season Update (free of charge) in [Gran Turismo 6] area, the LM55 can be obtained from the [Vision Gran Turismo] area of the game.